IT MIGHT be small and funny looking but it goes places, does the little midget car built by Stanley McCrary, of Seattle, Washington. 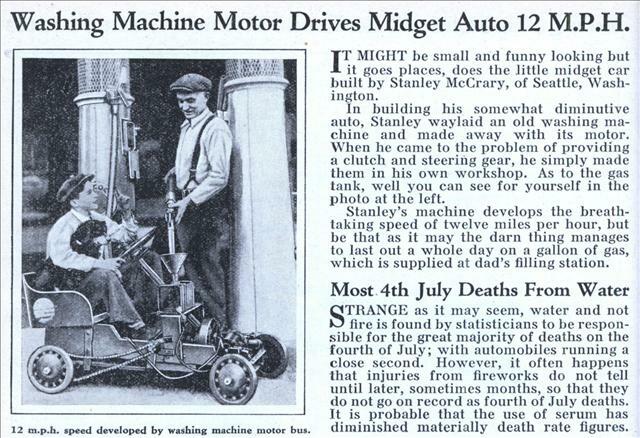 In building his somewhat diminutive auto, Stanley waylaid an old washing machine and made away with its motor. When he came to the problem of providing a clutch and steering gear, he simply made them in his own workshop. As to the gas tank, well you can see for yourself in the photo at the left. Stanley’s machine develops the breathtaking speed of twelve miles per hour, but be that as it may the darn thing manages to last out a whole day on a gallon of gas, which is supplied at dad’s filling station. 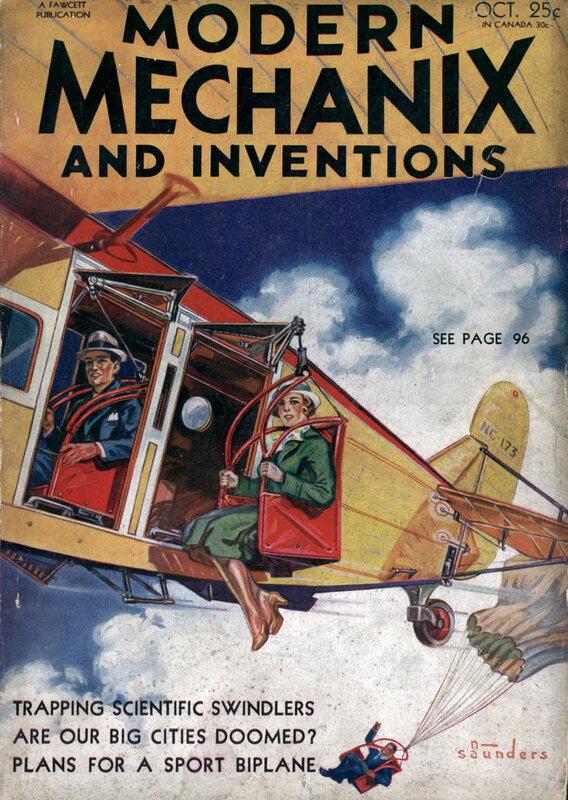 So… washing machines ran on gasoline in 1932? Yup, and they had kick-pedals to start them. I remember when my father brought me home a briggs 1 1/2 hp washing machine motor. I made moterbikes, “go carts”, even hooked it up to an electric motor and used it for an air compressor. I just removed the spark plug and connected a hose to the hole and it worked good for blowing up bike tires and inner tubes I had that little engine for years even overhauled it a couple of times. it had a “kick starter” that you pushed down with your foot and pulled it back up with your hand. was my favorite “toy” for a long time. and ask him self is it capable of anywhere near this much power and performance ?! ?